The Sioux City Cosmopolitan Club is holding their seventh annual Train Show at the Delta Hotel Center (Formerly the Marina Inn Convention Center) 485 E. 5th Street, South Sioux City, Nebraska. Come and visit the show on Saturday, March 9th, from 9 am to 4 pm, and Sunday, March 10th, from 10 am to 4 pm. Tickets may be purchased from Cosmopolitan Club members or at the door for $6. Many displays of model trains may be viewed. 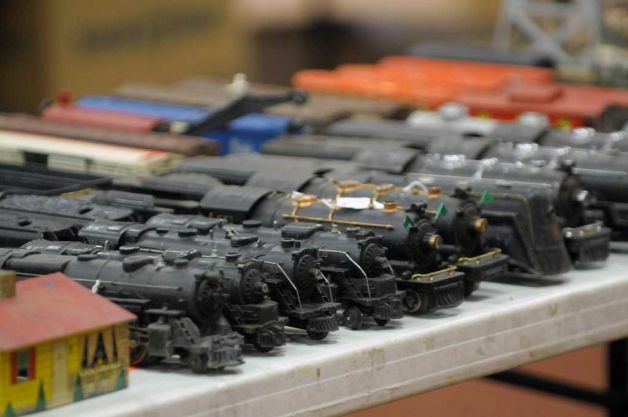 There will be venders with model train accessories of interest for nearly every model train enthusiast. The displays and demonstrations are for all ages of kids from infant to 110-years old train-lovers. The earliest known hobby of model trains was the “carpet railways in the 1840s. Electric trains appeared around 1900, in quite simple forms. Today the hobby of model train presentation is a creation of scenes of realistic looking trains surrounded by realistic landscapes. Also, today the assembly of a model train collection includes a vocabulary including these words and phrases: scales and gauges, modules, couplers and connectors and landscaping. The origin and growth of Sioux City was connected to railroads. The first train arrived in Sioux City on March 9, 1868. Today the Union Pacific Railroad, the BNSF Railroad and Canadian National Railroad operate in Sioux City. Sioux City is also the home of the Sioux City Train Museum. From their website: “This historical treasure, nestled in between the scenic Loess Hills and the Big Sioux River, was built in 1917. At one time this site was a large industrial complex that serviced and repaired locomotives and railcars for 65 years. Today this 30-acre complex is home to the Sioux City Railroad Museum.” Tours will be offered during the weekend of the Sioux City Train Show. The Train Show is an important for the Sioux City Cosmopolitan Club. It is an entertainment venue and an opportunity for intergenerational bonding, especially for parents and children. The show raises funds to meet the goals of Cosmopolitan International. The mission of Cosmopolitan International is to contribute to community well-being through charitable donations and volunteer service with special emphasis on supporting efforts to prevent and find a cure for diabetes. You are all invited to attend the 6th, 7th and 8th annual Sioux City Train Show for your family enjoyment and to donate to the cure of diabetes.